What if you fell in love with a stranger ... but that stranger had come from your past, a past you never knew existed until the moment your eyes met? OMG how can I even express how much I loved this book!!!!!!!!!!!!!!! It was AMAZING, THRILLING, TOTALLY THE BEST I’VE READ THIS YEAR. It is at the top of a long list of must read again books. So yeah I think I liked it and am recommending it to everyone. Go and read this book if you want a true romance that has a thrilling mystery and is tons of fun. The pace of this story is great. I could not put it down and even found myself reading way into the middle of the night because I wanted to know what was going to happen to Tess and Logan (or Lylah and Addison, if I must be correct). Their love story is one that you would like to have. Tess and Logan “bump” into each other in an airport and instantly realize that they are meant for each other, again. They have been reincarnated and were in love with each other over a hundred years ago. Unfortunately it takes a while for them to find each other after the airport, but when they do WOW! I’m not going to ruin this story for anyone, just read it! You will LOVE IT so much. Tess/Lylah starts out as a woman finally moving out and away from her over protective parents. At first she is a little shy and scared but as soon as she finds Logan and his brother Dane she comes out of her shell and becomes the person she was always meant to be. Logan/Addison is a man who has spent a century trying to find Tess. He promised to love her forever and to protect her no matter what. He most certainly does that! He is strong, caring and what everyone woman is looking for. Dane is Logan’s twin brother and he is funny, fun loving and a great all around guy. He is also totally in love with Tess but steps aside for his brother. He’s not happy about it, but he realizes that Tess is in love with Logan and they belong together. Hollis is the bad guy in this story and well he most certainly is. He hunts for Tess and Logan and not once but twice tries to drive them apart. The writing in this story is amazing. Sherrie Ann Wouters is great and has a way of painting a picture on paper. I can’t wait to read the next installment of this series! I just hope I don’t have too long to wait. As I said before, you will love this book and I highly recommend reading it when it comes out in June. Sherrie Wouters is a qualified Homoeopath and Kinesiologist, Sherrie lives in country Victoria, Australia with her husband, and two daughters. 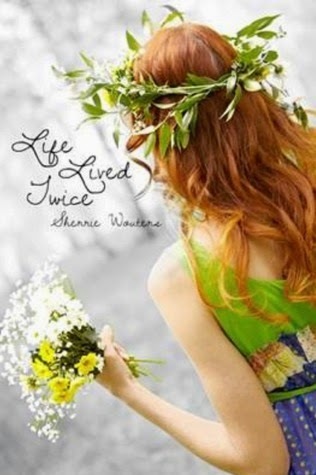 She is currently working on the sequel to Life Lived Twice.